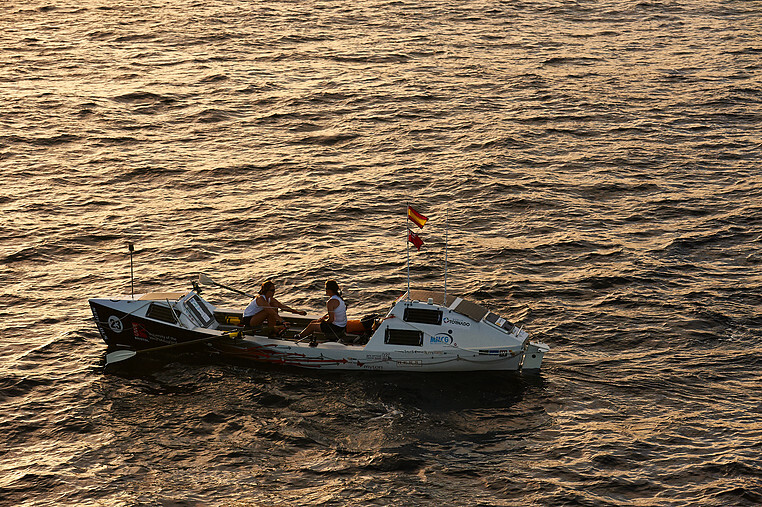 What rowing across the Atlantic taught me about perseverance and strength? At 26 years old, Lauren Morton is a two-time world record holder. 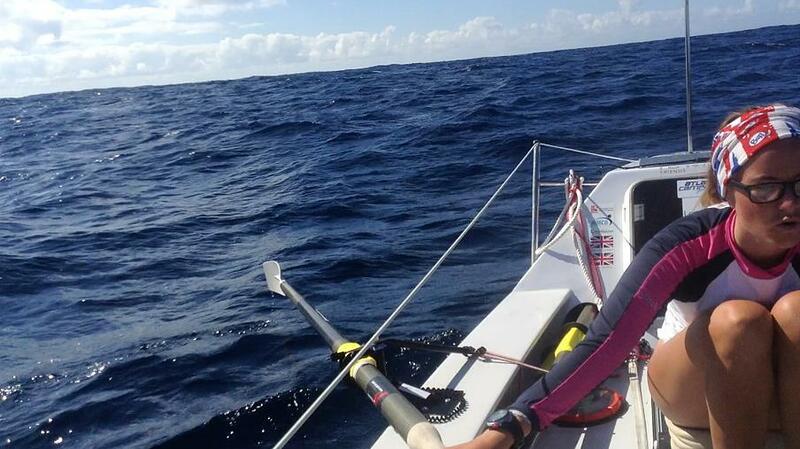 She’s rowed across the Atlantic Ocean and survived The Island with Bear Grylls. Lauren spoke on the Tough Girl podcast to talk about her incredible experiences and what they taught her about perseverance and strength. With every feat that Lauren took on, she faced innumerable challenges. The way she made it through despite so many obstacles, can help anyone going through a difficult journey. Starting her 200 mile journey rowing across the Atlantic, Lauren and her partner, Hannah, were all grins, but that didn’t last long. Lauren and Hannah were completely unaided for this 45 day journey, and the challenges began almost immediately. Equipment broke. Bad weather hit. Their boat was damaged. Lauren remarked, “We learned to adapt and deal with the fact that we didn’t have the equipment.” At day 50, they were still going. The challenges continued with everything from injuries to boat equipment failure. With no steering capabilites, Lauren and her partner had to wait 27 days for a replacement rudder. After dedicating six weeks of their life to the journey, the pair decided to accept help and continue. When the yacht with the replacement rudder came, the rudder didn’t fit, but Lauren refused to get off the boat after 75 days of journeying until they had exhausted all possible means of continuing the race. Lauren and her partner did everything they could to keep going. When something broke unexpectedly, they improvised and kept going. This kind of adaption can apply to any obstacles that arise in a long journey. Before giving up and using an obstacle as an excuse to quit, think about how you can make it work. How can you adapt to your present circumstances and keep moving forward? Coming back from this extraordinary journey across the Atlantic Ocean to the life that she’d left was difficult for Lauren. After four months in the ocean with only one person for company, returning to the same old thing was isolating. Lauren felt like she had no one who could understand what she’d been through except for her partner, Hannah. Processing what happened in this crazy adventure was hard, and Lauren could hardly get herself out of bed. At times we’ll go through experiences and feel like no one can relate. It can be easy to fall into a depression in these circumstances. For Lauren, she’d pushed herself harder than ever before and came back where nothing had changed for the people around her. What helped Lauren overcome the feeling of isolation was the realization of her own strength. She learned that she was way tougher than she gave herself credit for. “I am really strong. That in the end got me out of that state. I was able to say, 'I’ve done all these things, I can get through this period of my life.’” While difficult journeys can isolate us, they can also empower us. Instead of feeling like your challenge-filled journey separates you from your loved ones, see it as an experience that’s made you stronger and shown you how much you can persevere through. In an exciting turn of events, Lauren took part in Bear Grylls The Island. Lauren was stranded on a desert island with 14 women and a couple of knifes. From the start, things were tumultuous on the island. Women began to assert themselves and take over leadership. There was shouting and crying just to try and start a fire. “If you get stressed out and lose your temper, nothing good comes from that,” Lauren said. “You never get anywhere. Remain calm, level-headed, and way more positive things happen.” A negative focus brings in negative energy. If you choose to act positively, you’ll see things in a better way. When a happy attitude doesn’t come with ease, Lauren advises faking it till you make it. One thing you always have is the ability to choose your attitude. While you can’t change your environment or the things that have happened to you, you can change your attitude about what’s happening now. One of the most difficult parts about being on The Island was not knowing when they would be taken off the island. Lauren was told they would stay on the island for anywhere from 28 days. In reality, Lauren and the 13 other women were kept on the island for 40 days. Not knowing when the experience would end was one of the most difficult things for Lauren, but the adventure was not all bad. In the middle of nowhere, Lauren felt happy. She had no luxuries. No makeup. No food. No coffee. And Lauren found that she was more happy than when she did have those things. Lauren appreciated life in its simplest form. She learned where happiness comes from.